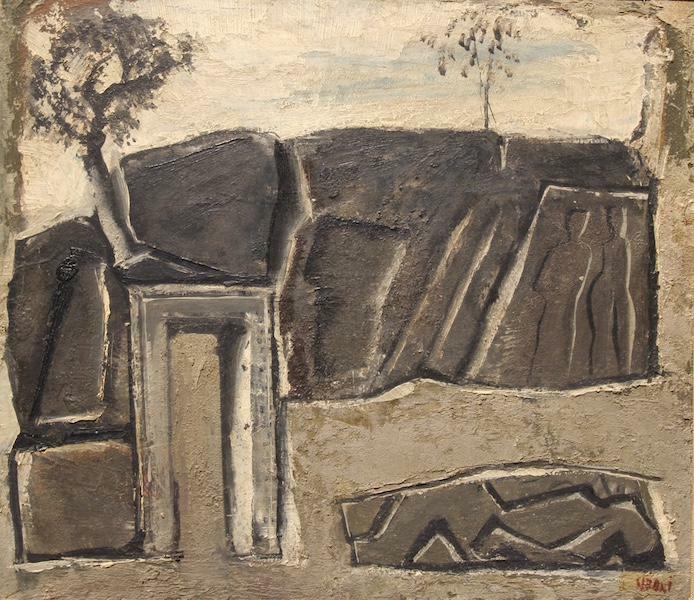 Mario Sironi was born in 1885. He was an Italian modernist artist who was active as a painter, sculptor, illustrator, and designer. His typically somber paintings are characterized by massive, immobile forms. He died in 1961.